Represented healthcare business associate in connection with data breaches involving hundreds of millions of patient records in three countries involving more than 250 subcontractors; worked with cybersecurity teams and law enforcement authorities to successfully retrieve patient records and developed safeguards and protocols to prevent future data breaches. Advised Fortune 100 Silicon Valley company to develop Privacy by Design (PbD) guidelines for software and system engineers. Implemented Privacy by Design techniques for user interfaces. 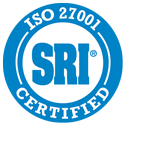 ISO 27001:2013 cybersecurity champion for three entities. Representation of former officers and directors in connection with parallel SEC and DOJ investigations and enforcement actions. Representation of former officers accused of running a multi-million-dollar Ponzi scheme involving oil and gas wells and derivative instruments back by a Wall Street financial institution. Defense of a former officer and director in an action for breach of fiduciary duty, fraud, and unfair competition; retained by client one month before trial and successfully resolved the matter. Defense of a medical transcription company in a securities class action, derivative class action, consumer class action, employee class action, and parallel investigations by the SEC, DOJ, and Department of Labor. Representation of a hedge fund in a management dispute in the Southern District of New York. Representation of hedge funds and investment advisers in connection with SEC investigations, and investigations by state attorneys general. Prosecution of a trade-secrets case in New York state court; obtained temporary restraining order and permanent injunction; and forced offending materials to be removed from various Web sites. Representation of a Hollywood studio in a derivative class action challenging the sale of a Major League Baseball team. Representation of a Wall Street financial institution in a state class action and federal receivership action involving a Ponzi scheme. Defense of the special committee in a shareholder class action challenging a management buyout. Defense of an investment fund manager in a dispute involving ownership of trading software and intellectual property. Representation of power plant developers in connection with a partnership and expansion rights dispute involving the construction of a $1.2 billion power plant. The dispute involved parallel litigation matters before the Southern District of New York and the Philippines and an arbitration before the AAA International Centre for Dispute Resolution. Clients received more than $25 million in settlement. Representation of a Middle East-based subcontractor in a dispute with a U.S.-based developer concerning acceptance of optical scanning equipment. Evaluated more than a dozen legal process outsourcing firms located in India and the Philippines; provided recommendations regarding training, process and workflow, integration with U.S. legal teams, and ethics. Representation of a Philippine/British joint venture in construction and performance disputes regarding the development of a 1000 MW power plant and a 500 MW power plant; clients were awarded more than $100 million by ICC arbitration panel and $20 million in a separate settlement. Representations of Indonesia’s largest telecommunications company in a $1.3 billion dispute concerning build, operate, and transfer agreements. Representation of a Philippine/French water distributor in a contract termination dispute involving the privatization of the water system serving Manila. Representation of independent power producers in take-or-pay disputes with their natural gas suppliers; clients received more than $80 million in settlement. Representation of an Australian off-balance sheet monetary fund in an international securities fraud action litigated in the United States, United Kingdom, and Isle of Jersey. Representation of an independent power producer in Indonesia in a dispute with its principal coal supplier. 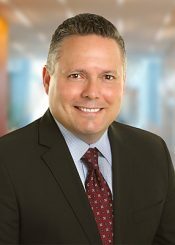 Activities and Membership David is a past director of the Association of Business Trial Lawyers, a judge pro tem, mediator and arbitrator. He is also a member of the California Bar Association, the American Bar Association, the American Bar Association Advisory Panel, the Los Angeles County Bar Association, the London Court of International Arbitration, and the International Bar Association.